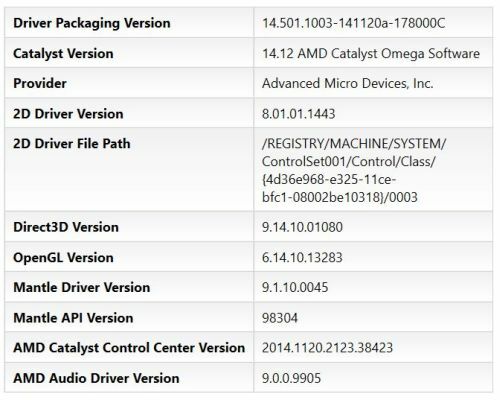 Introducing the AMD Catalyst™ Omega driver for Windows, a “Special Edition” driver delivered to enhance the AMD GPU and APU experience. 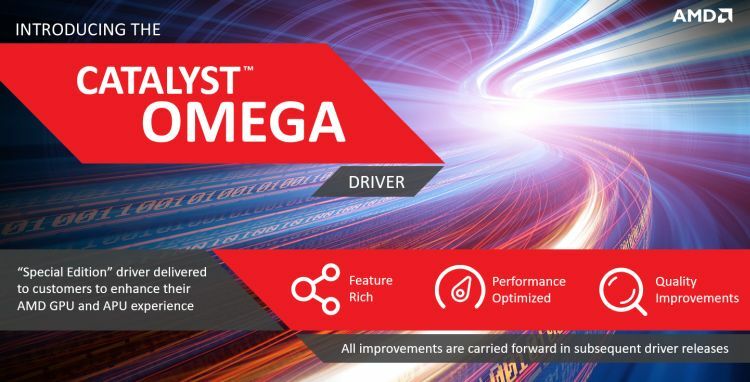 The AMD Catalyst™ Omega driver contains over 20 new features, performance improvements, and significant number of bug fixes and improvements. All improvements will be carried forward in subsequent driver releases. 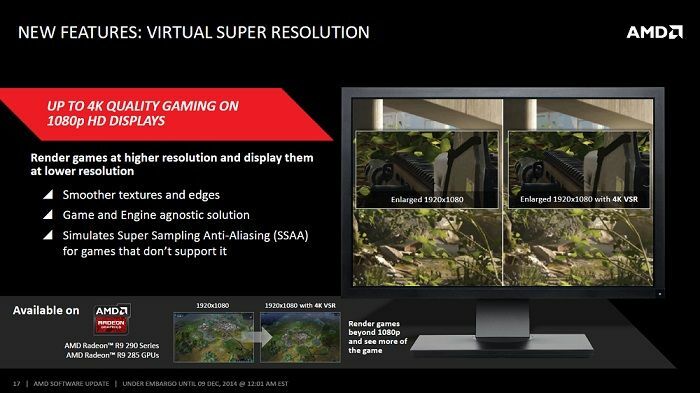 Virtual Super Resolution (VSR): Render games at higher resolution and display them at lower resolution. Up to 4k quality gaming on 1080p HD displays. 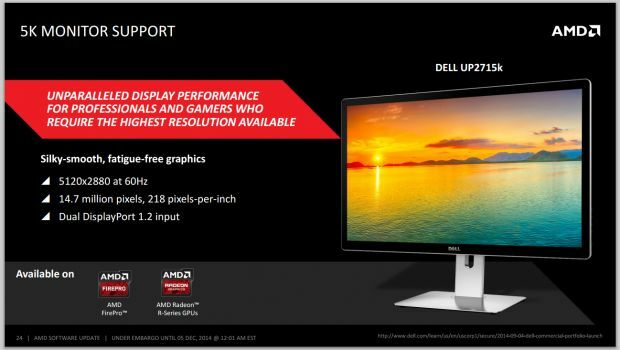 5K Monitor Support: Unparalleled display performance for professionals and gamers who require the highest resolution available and silky-smooth, fatigue-free graphics – 5120×2880 at 60Hz. Alienware Graphics Amplifier: Support for AMD Radeon™ Graphics in Alienware Graphics Amplifier. 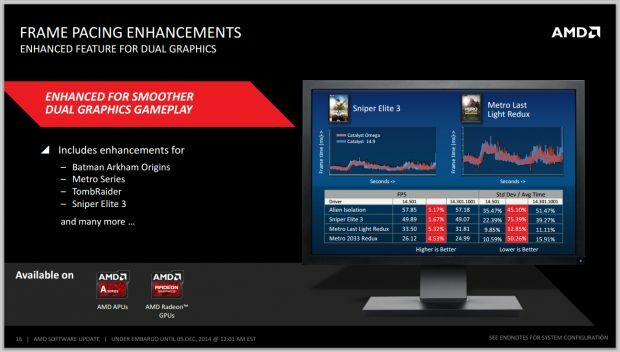 Perfect Picture Enhancements: AMD Fluid Motion Video (Smooth Blu-ray playback with lower power APUs) and Contour Removal – Improved algorithm for compressed videos. Perfect Picture Additions: 1080p Detail Enhancement now for APUs and Ultra HD-Like Experience – Makes 1080P videos 4K-like. The complete release notes are available HERE. Catalyst 14.12 is an OpenGL 4.4 driver and exposes 295 OpenGL extensions for a Radeon R9 290X on Win8 64-bit. All details are available in THIS ENTRY of the GPU Database. 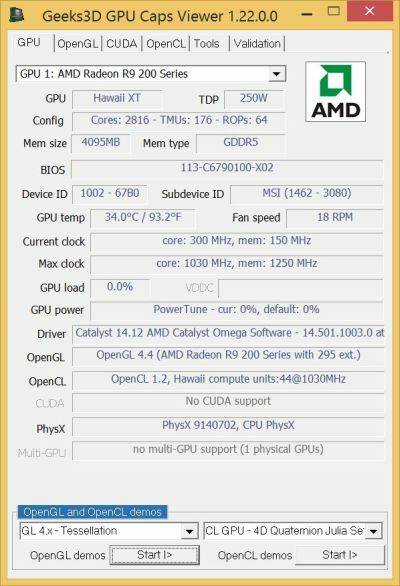 Why does it ‘OpenCL 2.0 Support’ but GPU Caps Viewer says 1.2? Good question! Maybe the OpenCL driver has not been updated yet. Or GPU Caps Viewer does can’t create an OpenCL 2.0 context. I’ll try to check that point asap. 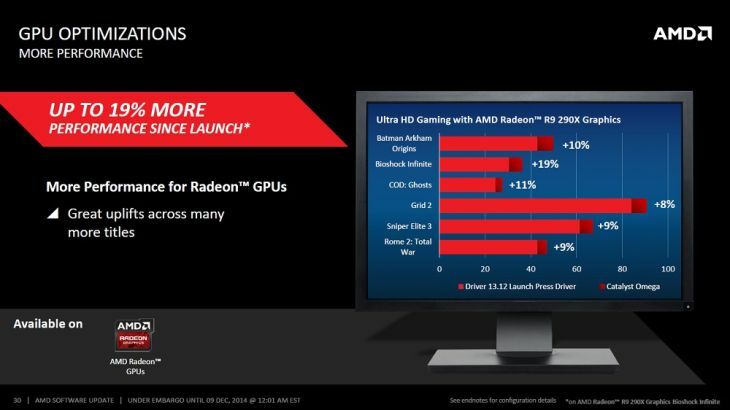 The AMD OpenCL 2.0 driver is compatible with the following AMD products. Then again saying the driver is compatible doesn’t necessarily mean the hardware offers full OpenCL 2.0 support. Not that bad driver. It fixed not working 1M particle direct compute demo in MSI kombustor and Ogl 4.5 support is on its halfway. On Linux they had to submit several patches upstream to be able to support HSA and OpenCL 2.0. I don’t expect that to be straightforward under Windows so maybe OpenCL 2.0 isn’t fully supported on Windows yet – though it is specified on the website.